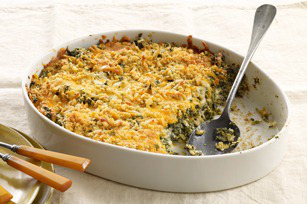 Turn your spinach blahs into spinach ahhs with our crispy cracker-and-cheddar-topped dish. 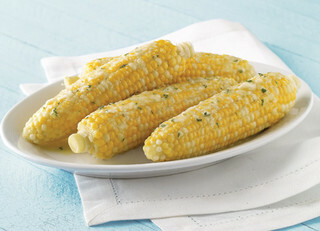 Your family will enjoy every bite of this creamy veggie side. 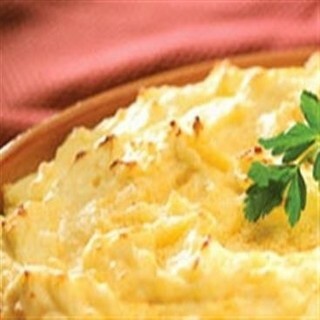 Flour-thickened milk substitutes for a butter-flour roux and replaces cream in this potato casserole. 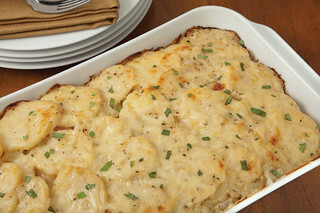 Onion, garlic and basil add savory notes and a little Swiss cheese makes a special topping. 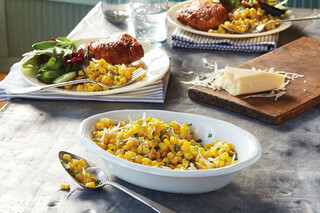 Five simple ways to enjoy a delicious corn side dish – try them all! 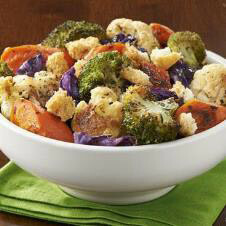 The lightness of Crisco® Pure Vegetable Oil allows the delicious flavors of these vegetables to shine through! 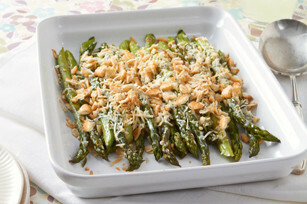 Asparagus – It's the classiest of vegetables. 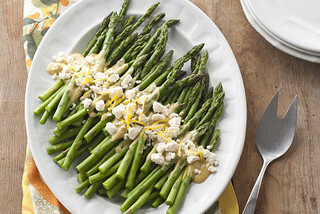 Add instant elegance to your party with this better-for-you platter of fresh stalks in a tempting cheese sauce and crumb topping. 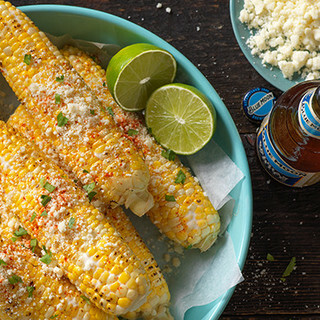 The grill isn’t just for meat anymore. 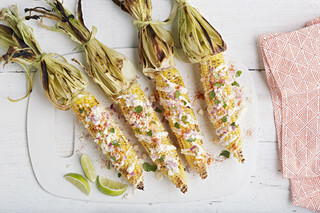 Add some delicious vegetables to your next backyard barbecue with our delicious recipe for grilled, cheesy corn on the cob. 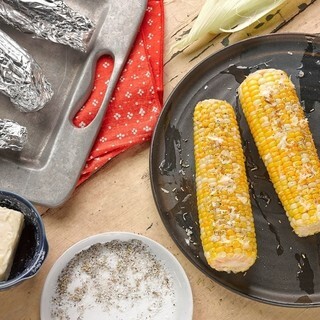 Best of all, grilling the corn on the cob in aluminum foil means no mess on the grill and a fast clean up after dinner. 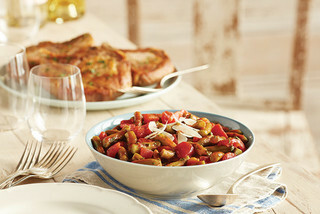 A tomato and green beans side gets an Italian make-over with a quick tomato sauce reduction, a drizzle of olive oil and sprinkle of Parmesan cheese. 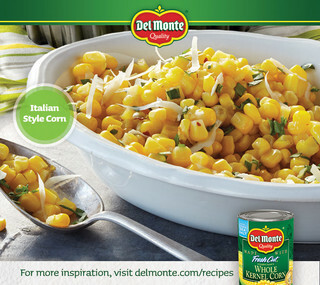 Serve the perfect side dish for any special dinner with our Corn Soufflé! 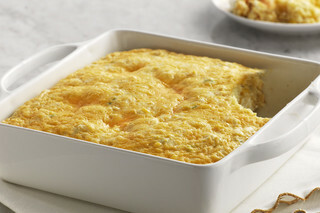 Reminiscent of home-style cornbread, this Corn Soufflé is delicious and fluffy. 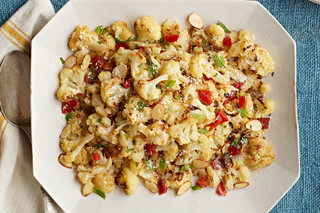 Prepare the perfect veggie side dish with this Roasted Cauliflower and Peppers recipe. 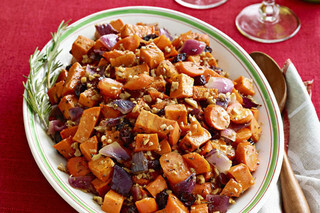 Serve these roasted veggies alongside a holiday turkey or ham. 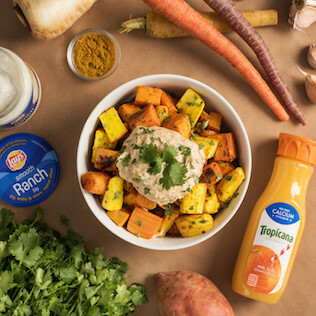 Turmeric gives these mild-flavored root vegetables a golden hue and wonderful fragrance. 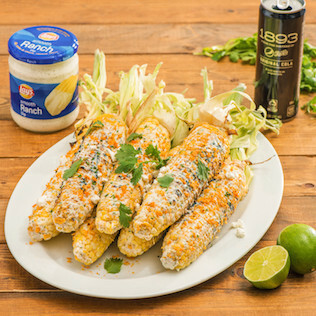 Perfect pairing with Redd's Ale. 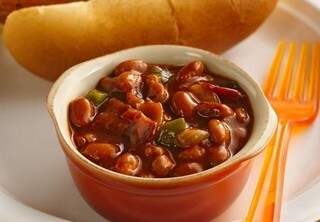 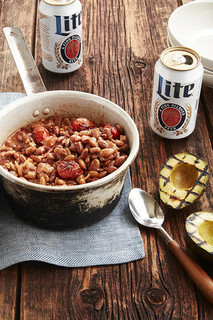 Great chili doesn't have to bubble on the back burner forever; this one goes together fast with bacon, canned beans, prepared salsa, peppers, and spices. 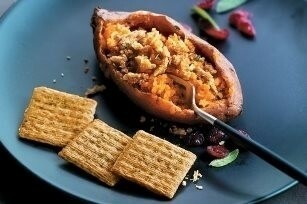 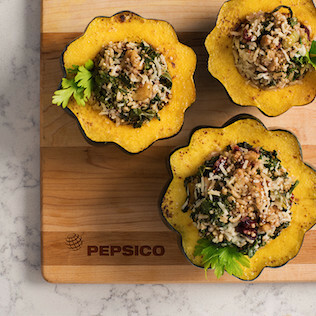 This festive stuffed squash is both light and delicious. 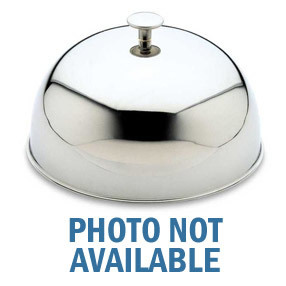 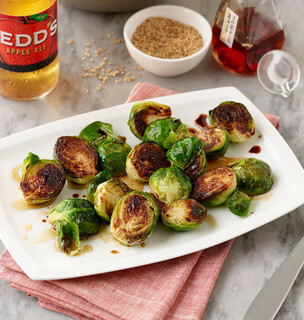 Serve as an appetizer, main or side dish. 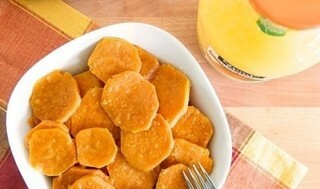 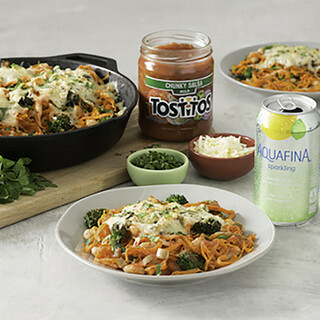 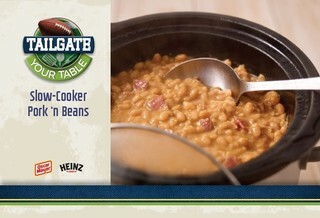 Invite Minute Maid Orange Juice to the dinner table with this delicious recipe. 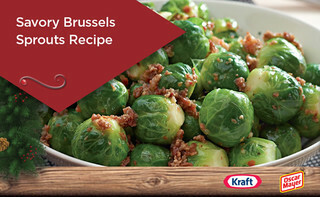 It’s sweet, yummy, and tastes like the holidays! 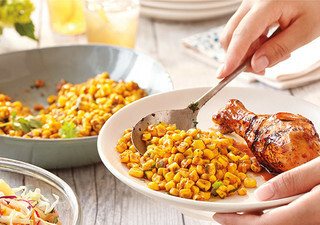 Packed with flavor, this fully loaded Mexican-style grilled corn makes a tasty side dish or appetizer. 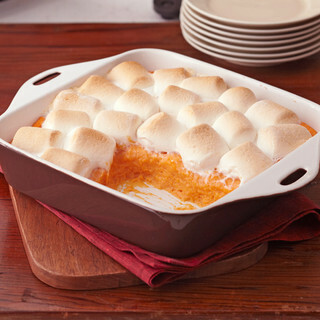 Spiralized sweet potato acts as the noodle in this tasty and easy-to-make vegetarian baked dish. 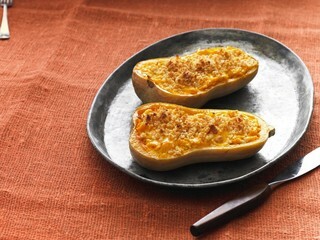 The natural creaminess of roasted butternut squash gets an additional boost from cheddar cheese, sour cream and a buttery crushed cracker topping. 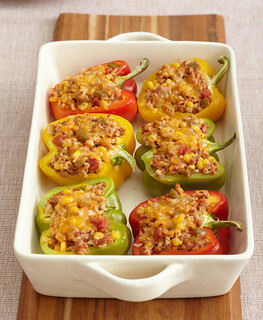 Get colorful with our Tri-Color Vegetarian Stuffed Peppers! 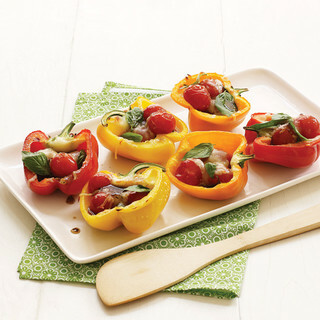 This Healthy Living vegetarian stuffed peppers dish features BOCA crumbles and salsa, which offer a one-two punch of tantalizing flavor and texture! 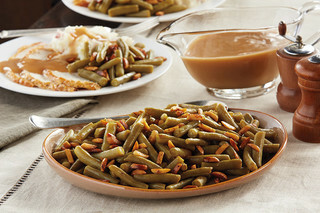 Shake up your menu with our Green Bean Casserole Amandine recipe. 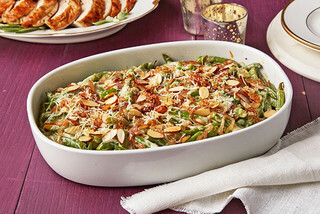 Green Bean Casserole Amandine is the perfect way to take your green bean casserole game from ordinary to extraordinary! 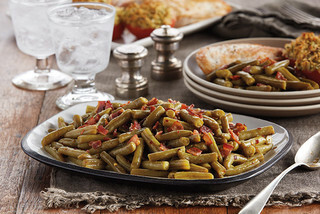 Try something different when you serve our Balsamic-Glazed Green Beans Recipe. 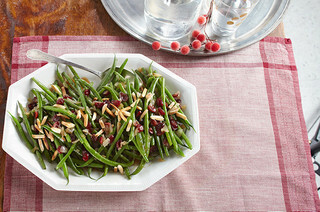 Featuring caramelized onions, cranberries and almonds, our Balsamic-Glazed Green Beans Recipe is anything but ordinary. 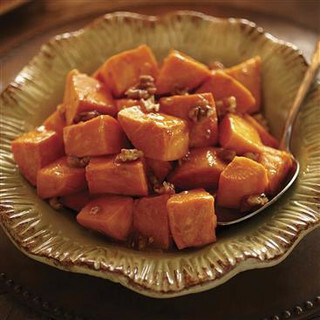 Your guests will really appreciate the sweet and tangy flavor combination. 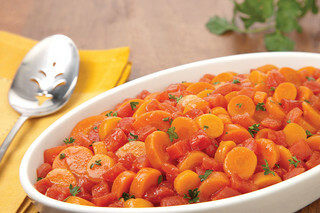 Leave your guests wanting more by putting a Gold Peak spin on a glazed carrot recipe. 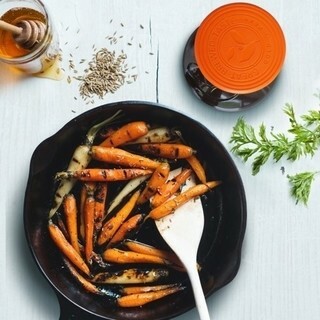 Freshly chopped rosemary and maple syrup give these crowd-pleasing roasted sweet potatoes and carrots their rich, complex flavor.